Great modern French fare at Noir | 15,000kms of Food! Believe the hype, Noir is as good as they say it is. The food was absolutely flawless. The restaurant is cozy and comfortable, nestled in the midst of Swan St in Richmond. The food is modern French, and flavours, textures, combinations of dishes is fantastic. The presentation of food is gorgeous, as can be seen from the pics below. 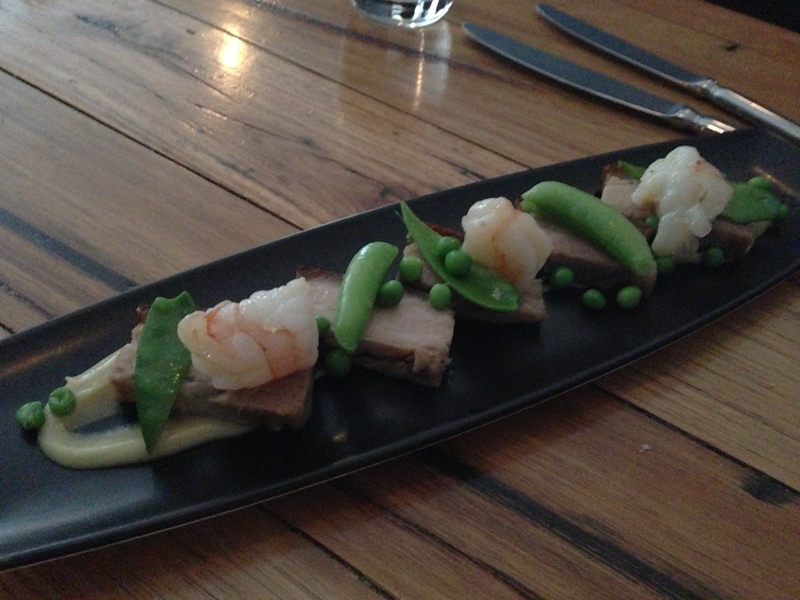 Started with “crisp belly of pork, peas and prawns” which came sitting on top of a creamy rich garlic puree. Pork and prawn is a winning combo, enough said. 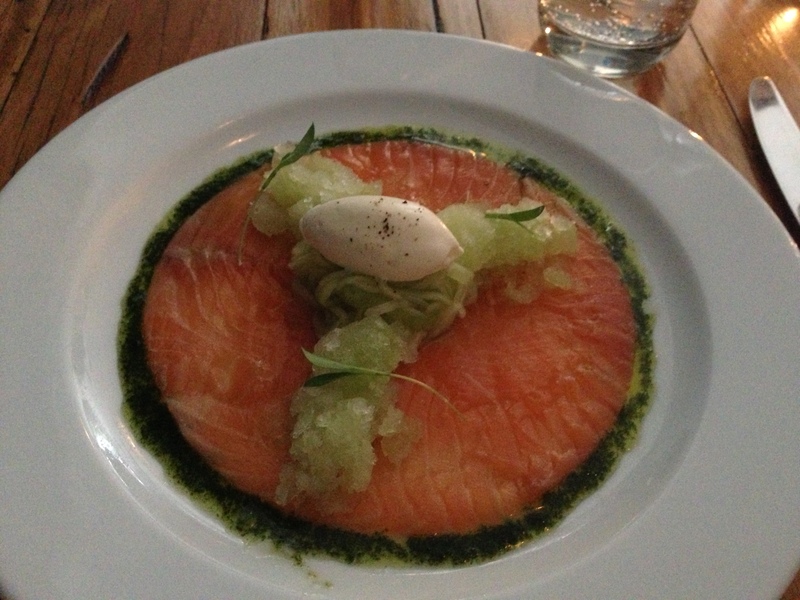 The other entree we had was the “salmon cured in Hendrick’s gin” which came with a gin granata, shaved cucumber and dill dressing. Cool and refreshing on a warms summer day. My main was the “crisp breast and confit leg of duck with kohlrabi, cherry and almonds“. I wiped my plate clean. The duck was cooked medium rare, just the way I like it. The sauce was rich and delicious. The kohlrabi was sweet and a perfect accompaniment. My partner had the “eye fillet and braised shin of Black Angus” which came divided by a potato gratin with 3 onion rings sitting on top of it. I stole a few bites, and gotta say, if my duck was not so darn good, I would have had the biggest case of food envy ever. 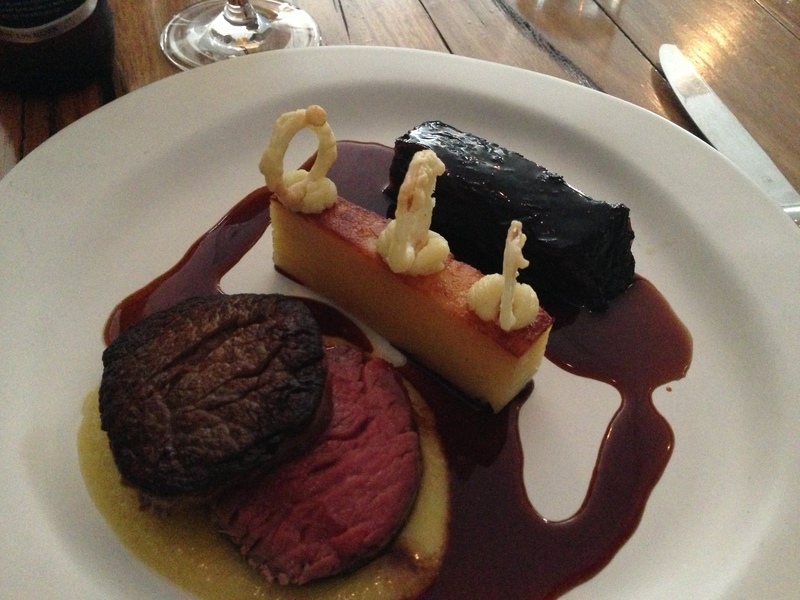 Perfect melt in your mouth eye fillet and tasty braised shin…. drool! 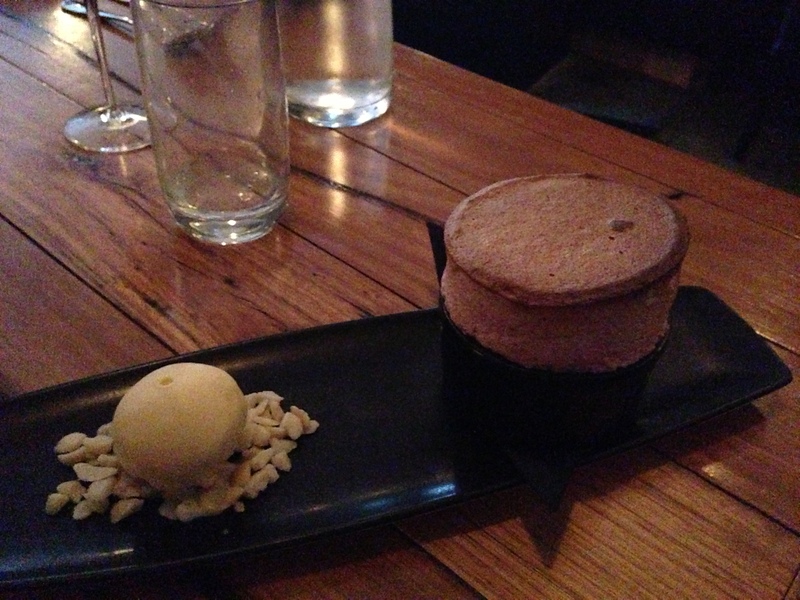 First dessert was the “raspberry soufflé with white chocolate ice cream on macadamias“. Souffle was tart, and light and fluffy. Greatly complimented by the white chocolate ice cream. The “pot au chocolat” was fantastic! 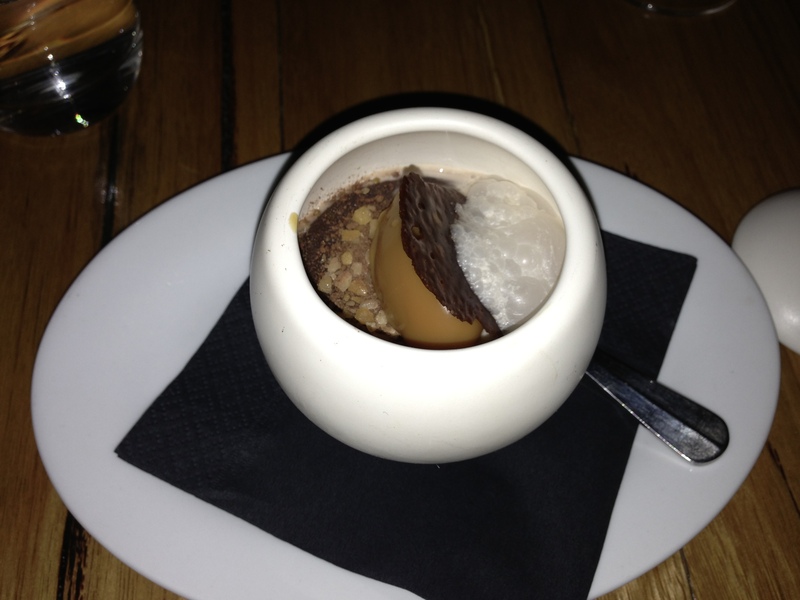 It had Milo and crackle and malt foam and a chocolate biscuit wafer… all up, a tasty delight! Have to say, we’ve had some great new restaurants pop up in Melbourne in the last 12 months and this is may be my favourite. I adore French food so this instantly has an advantage to win my affections. Couple that with a great menu, perfectly executed food and solid wine to accompany the food and I’m pretty much in love. Can’t wait to go back!